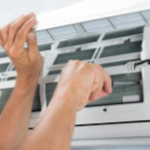 Our experienced team of air conditioning technicians provide complete Fujitsu air conditioning services throughout Brisbane and the Sunshine Coast including supply, installation, repairs, and servicing of all styles of Fujitsu air conditioners. Control the temperature inside your home or business with a new Fujitsu air conditioning unit. Looking for a reliable, energy efficient home or business temperature control system which will keep up even on hot summer days? Fujitsu General air conditioners are built tough to cope with the extreme challenges the Australian climate presents every year. Fujitsu air conditioners feature a huge range of features to ensure you are comfortable in your home or business all year round. A huge range of air con unit sizes - there is a Fujitsu for every space. Keep your air conditioner in top condition by addressing problems as soon as you notice a change in cooling or heating. Faulty air conditioners can use more power and if unrepaired can reduce the useful life of your unit, increasing replacement expenses over the long term. Sea Air air conditioning specialists are on hand to repair and service your Fujitsu cool only or reverse cycle air conditioner to maintain the efficiency and effectiveness of your unit. For the very best in Fujitsu air conditioning installation, repairs and servicing throughout Brisbane and the Sunshine Coast contact Sea Air Mechanical Services on 0401 787 183 or complete our booking request form today. Sea Air offers great supply and installation deals on reverse cycle split Fujitsu air conditioning systems. Can't see the system you are looking for? Contact our team today on 0401 787 183 or complete online job booking form, we're sure to have an air conditioner for your needs.